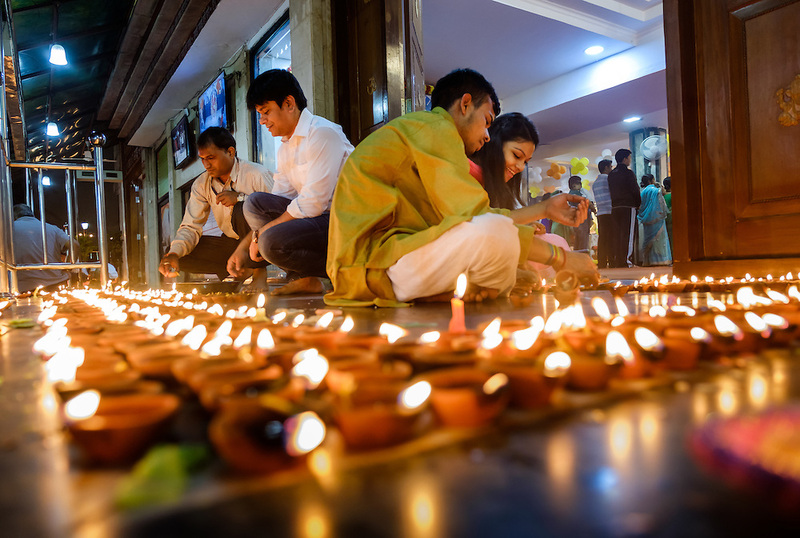 NEW DELHI, INDIA - CIRCA OCTOBER 2016: People lighting candles for the Diwali celebration at the Sai Baba Temple in the Hauz Khas area of New Delhi. Diwali is also known as festival of lights, for the Hinduism, it spiritually signifies the victory of light over darkness, good over evil, knowledge over ignorance, and hope over despair. Its celebration includes millions of lights shining on housetops, outside doors and windows, around temples and other buildings in the communities.